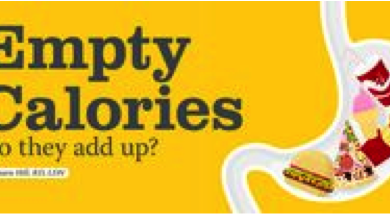 Most processed foods like cookies, chips, candy, and sweetened beverages are considered empty calorie foods because they have little to no nutritional value. What these ARE packed with is unhealthy fats, sugar, and sodium, all of which contribute to excess calories and weight gain. The good news is that simple dietary exchanges can be made to reduce excess calories and help fight obesity. - If you cannot pronounce the names on the packaging there is a good chance you should not be consuming them. So often we the packaged foods we eat are laden with dyes, emulsifiers, and flavor enhancers. (That’s right – just because it says “strawberry” filling, it does not mean strawberries are one of the ingredients!) As a rule of thumb avoid anything with MSG or additives starting with the letter E, such as E621. - This tip actually applies to the healthy options: fruits and vegetables. Locally grown foods are able reach the consumer quicker, eliminating the need for added preservatives. Additionally, the longer fruits and vegetables sit on the shelves, the more their nutrient levels decrease. Often times by the time they reach your table you are left deprived of their beneficial antioxidants, vitamins and minerals. - One thing sugar loves is more sugar, the more you splurge, the more you end up consuming. This is because your liver releases insulin to convert excess glucose in the body into their storage counterparts, glycogen. While this may be good in the long term, short term this causes you to crave even more. By keeping your sugar intake under control you avoid burdening your liver with having to balance this sugar roller coaster. - Fiber, naturally found in fruits and vegetables, keeps you satisfied, has shown to help main a healthy heart, and aids in digestion. Fiber is now often added to cereals, crackers, and naturally found in popcorn (one the best low calorie snacks invented!). You can also purchase ground flaxseeds in the nutrition isle and sprinkle them on your favorite foods. On average you should aim for 25 grams a day. - You will be quite shocked at how often a seemingly small package can add up to big numbers in the calorie world. Be careful to read labels carefully, you may be surprised to find that while a 200 calorie snack seems reasonable, it will not be the case when you see the package holds 2.5 servings – that’s 450 calories! - This is essential to making sure you are meeting your caloric intake each day. A good rule to follow in order to figure out how many calories you should have a day is to multiply your goal weight by 10. Of course, remember to make sure these are coming from whole sources that are sure to keep you satisfied and well on your way to your weight loss goals!